← Chanukah Same’ach! Happy Chanukah! On Tuesday morning, IDF troops exposed a Hezbollah cross-border attack tunnel that infiltrated into Israeli territory in an operational, technological and intelligence operation. The IDF on Wednesday morning released several aerial photos depicting the cross-border attack tunnel that was dug from the southern Kafr Kela area and was exposed Tuesday in Israeli territory. The site from which the cross-border attack tunnel was dug in the southern Kafr Kela area. Photo: IDF Spokesperson’s Unit. Please note that the tunnel’s origin was under a cement factory. Next time Israel is accused of war crimes for bombing civilian infrastructure, please remember what this “civilian” infrastructure is in fact used for. That itself is the real war crime. 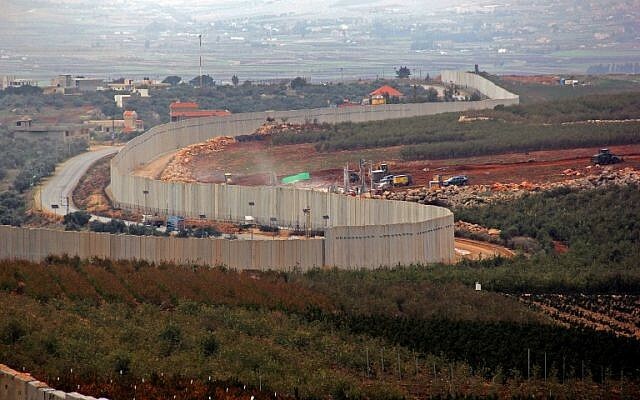 Israeli security analysts believe that the decision to expose the Hezbollah attack tunnel is a precursor to a larger Israeli operation to remove the threat posed by the precision missiles being developed by the Lebanese terror group together with their Iranian sponsors. On Tuesday the IDF said it uncovered the “first of what are sure to be many” cross-border attack tunnels dug by Hezbollah, as part of its newly launched Operation Northern Shield. 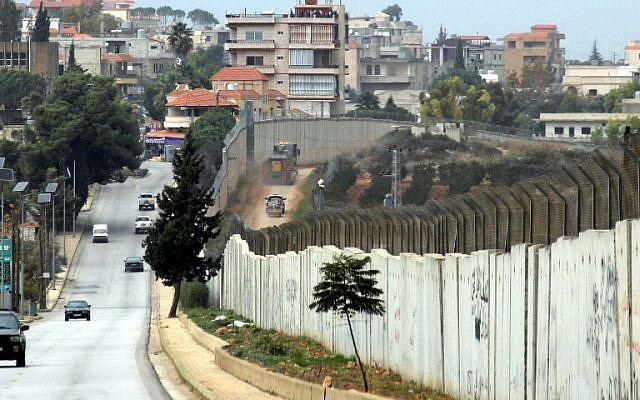 The tunnel was found south of the Israeli town of Metulla along the Lebanese border. The army said it was some 200 meters (650 feet) long, extending some 40 meters (120 feet) into Israeli territory. Israel’s Channel 10 TV later said the IDF estimates that there are some 10 attack tunnels. There has been some discussion in Israel whether the timing of the IDF operation was in any way connected to Netanyahu’s possible indictment on charges of bribery. Lahav Harkov in the Jerusalem Post explains that this operation has been months in the making. Such IDF operations cannot be organized overnight. But luckily for Netanyahu the timing is impeccable – especially as he was slammed for our inaction over the Hamas rocket attack last month in the south. Last month, when Hamas responded to a botched IDF operation in Gaza by launching 460 rockets into Israel in one day, the IDF struck back at Gaza, but the Security Cabinet quickly agreed to a ceasefire without a vote, because there was no serious opposition. The reason? Because they knew their focus would soon need to shift to the northern border. They chose Northern Shield over a southern shield. And they said they would respond more harshly to Gaza at a time that’s better for, and determined by Israel. A senior cabinet source confirmed on Sunday that the North is the operative priority, and that the area is of greater sensitivity, because of the continuing need to attack when Iran attempts expanding its presence in Syria. Therefore, the ministers decided it was not worth risking a greater escalation in Gaza. Of course, the public didn’t know that, and then-defense minister Avigdor Liberman was being slammed in the media for talking tough and doing nothing – including by usually-friendly commentators – and he resigned from his post, saying Israel surrendered to Hamas, and pulled Yisrael Beytenu from the government. This left the coalition with a one-seat majority, throwing it into a crisis, leaving most in the political sphere certain that it would fall apart sooner, rather than later. But Netanyahu managed to convince his remaining coalition partners to keep it together, and while the past few weeks have been challenging, the Knesset has yet to be dissolved. It’s possible, of course, that Bennett is right, and this operation will be exactly what the IDF said it is – destroying Hezbollah tunnels – and won’t lead to anything more. After all, it is primarily an operation of engineering, meant to take place on Israel’s side of the border. But with Iranian missiles stored in Beirut and elsewhere in Lebanon, as Netanyahu revealed in his speech to the UN in September, this could easily snowball into something major, and the Security Cabinet clearly chose to be risk-averse. And Netanyahu is taking full advantage. A few Security Cabinet ministers anonymously expressed frustration to Army Radio host Razi Barkai at being told not to give interviews after the Northern Shield was announced, saying Netanyahu was silencing them so he can have all the glory, while he inflated “a small engineering operation” beyond reasonable proportions. This operation is advantageous to Netanyahu in its timing, as well. On Sunday, when the police recommended that he be indicted for bribery, breach of trust and fraud in relation to the Bezeq Affair, the prime minister pointed to the suspicious timing of their release. Netanyahu was referring to it being ex-chief of police Roni Alsheich’s last day on the job, but the same could be said with an IDF operation two days after bad news for the prime minister. Residents of the north are not surprised at the tunnel discovery, saying they have heard sounds of digging underground for years. My own daughter who used to live in the north confirmed this. Hezbollah leader Hassan Nasrallah has for years spoken about “Conquer the Galilee” which would have seen fighters from the group’s elite Radwan unit infiltrating into Israel in an attempt to take control of border communities. Hezbollah’s tunnel project was expensive and time consuming, with a 600-foot tunnel being built over the course of two years. The depth of the tunnel, some 80 feet underground, made the group think that Israel was not aware of their work. But residents in the North have complained for years of hearing digging sounds, mainly at night, under their homes and in their fields. These speculations were likely fueled by ‎frequent statements made by senior Israeli officials, ‎whose main concern is the growing threat posed by Hezbollah’s ‎buildup. This is why defense officials believe that an ‎Israeli operation in Lebanon – even a limited one – ‎would not necessarily meet a measured response by Hezbollah, making ‎the potential for a full-scale war, which would ‎expose the Israeli homefront to thousands of ‎missiles, far greater. As for the next step in Israel’s arsenal, will the UN finally step up to the plate and condemn Hezbollah? Israel is demanding such a condemnation, and John Bolton, US National Security Adviser has said the US strongly supports Israel’s anti-tunnel operation. Now let’s see if the UN can overcome its anti-Israel prejudice enough to condemn blatant provocation from Hezbollah. This entry was posted in Defence and Military, Iran, Mideast news, Terrorism and tagged Binyamin Netanyahu, Hezbollah, IDF, Lebanon, northern Israel, Northern Shield, terrorism, tunnels. Bookmark the permalink. The UN not only need to condemn Iran ,Hezbollah and any other alphabet soup terrorist organisation,but they need to do a deep check of their own UNIFIL forces.Yes those same forces who for years have turned a blind eye to the re arming of Hezbollah and their tunnel digging.Why aren’t they enforcing rule 1701?You can bet your bottom dollar that Israel will be condemned with war crimes,over reaction,or disproportionate killing or shooting when it suits them.Why hasn’t Israel confronted and condemned the UN? Excellent point re Unifil. And no matter how much Israel is shouting about this tunnel originating underneath a civilian house, you can be sure the int’l community will conveniently forget this fact when we get around to destroying it. Pingback: The UN’s immorality and UNIFIL’s counter-productivity.